The probe into the alleged Sh2 billion found in a safe box at Barclays Queensway by the Directorate of Criminal Investigations took a different twist after the main suspect, Erick Adede insisted that the money was genuine. Former Kakamega Senator Boni Khalwale has now challenged DCI boss, George Kinoti to explain how he came to know that the cash was fake yet he did not take time to examine the notes before making the conclusion. The ex-senator, who has been very vocal on matters of national interest, wants the office of the DCI to come clean on the matter before it is too late. He insists that there are loopholes as far as the probe into the case is concerned. “Strictly speaking, how did the DCI upon merely opening the safe box arrive at the conclusion that the entire $20m was fake? Due process demands that he shoulda subjected the cash, note by note, to expert scrutiny,” he said through his twitter account on Friday. The detectives had also impounded fake bars of gold at the same bank. Police also arrested several suspects in connection with the saga. Kinoti has assured the public that he will come to the bottom of the matter soon. Adede was arrested alongside Mahamed Ejaz (alias Ahmed Shah), Mary Mwangi (alias Elizabeth Muthoni) and Irene Kimani (alias Charity). 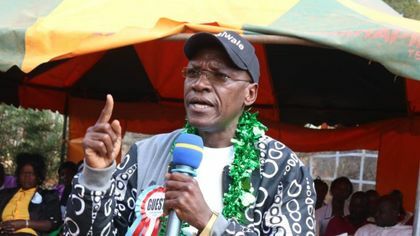 The post Khalwale pours cold water on fake Sh2bn Barclays Bank saga probe appeared first on Kenya Today.